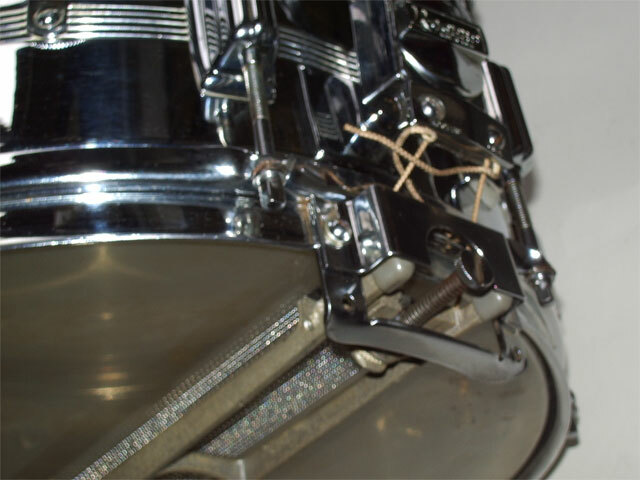 All original deep brass shell DynaSonic, complete with rail, snares etc. Some scratches and a little pitting on the lugs. 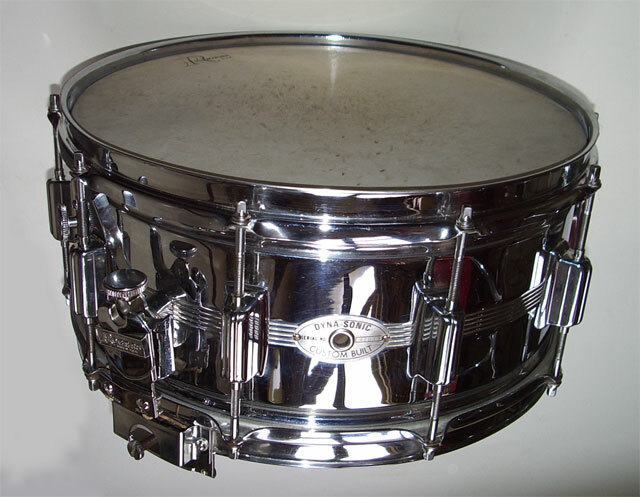 This '60s model has the correct square snare guards and the correct rail with rubber tips. 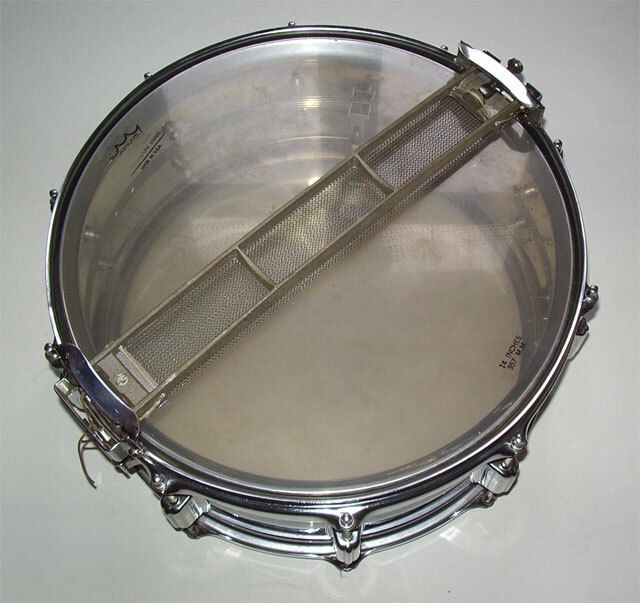 Also has the Rogers batter head, bottom head is Remo Ambassadore snare head. 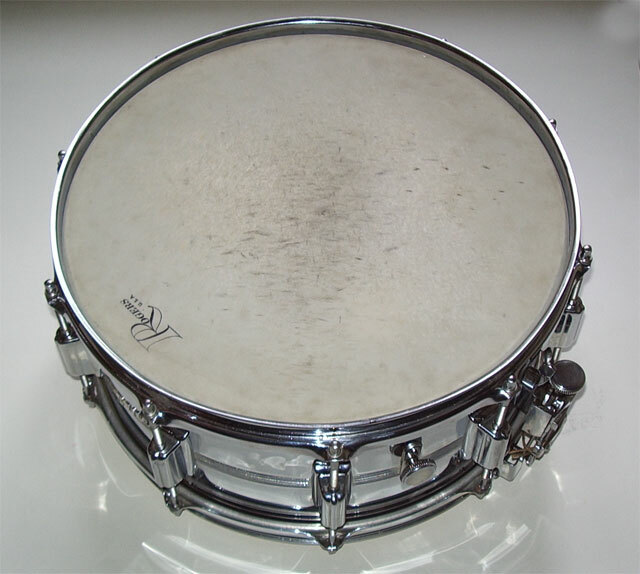 Maybe not a museum piece because of the little scratches, but certainly a very nice players drum that has all the original and the hard to find parts. The sound is big and fullbodied.